Spring is a beautiful time to visit the Nation’s Capital. Cherry blossoms lining the Tidal Basin attract huge crowds to Washington D.C. in the springtime. 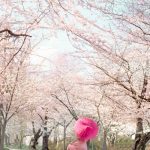 The Tidal Basin Cherry Blossoms in Washington DC are definitely worth all the fuss, but there’s more than one place to see cherry blossoms in DC. I have 5 alternatives to the Tidal Basin to see cherry blossoms in DC that are tourist free and not crowded at all. 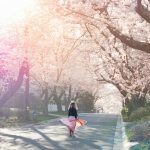 These other places to see cherry blossoms in DC are just as pretty as the Tidal Basin and some of the peak bloom times also differ from the Tidal Basin cherry blossoms, so you will have the chance to catch both! 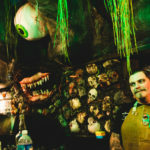 Or if you happen to arrive in DC before or after peak bloom of the cherry blossoms around the Tidal Basin, some of these places might be blooming. 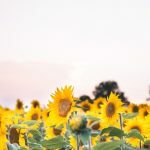 Interested in capturing stunning photos at the sunflower fields? Book a session with me today! 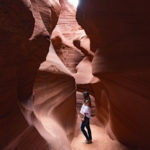 I specialize in family, newborn, maternity, and portrait photography. 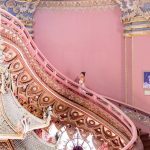 Capture real smiles at picture-perfect locations! Space is limited. So when do cherry blossoms reach peak bloom in Washington DC? 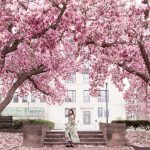 When will the DC cherry blossoms bloom in 2019? 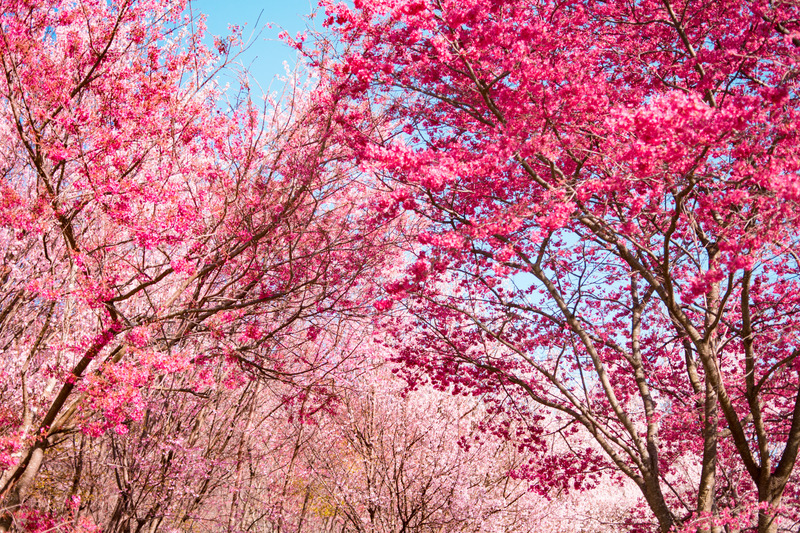 Cherry blossoms usually bloom between mid to late March and early April. 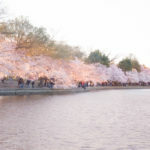 NPS has predicted that peak bloom for the Washington DC Tidal Basin cherry blossoms will be between April 3 and 6 in 2019. The cherry blossom peak bloom forecast for Washington DC though isn’t always accurate because of how volatile the weather in this area is. It’s 70 degrees one minute and snowing the next. Last year we actually had snow covered blossoms, and NPS had to push back their initial forecast. Then the NPS revised their prediction again to 3 days before peak bloom. 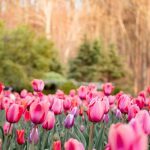 Some of the alternative places to see cherry blossoms in Washington DC I have listed below have different peak bloom times so if you happen to miss peak bloom around the Tidal Basin, these alternatives may be in bloom. Hains Point in East Potomac Park is usually used as parking for visitors to see the cherry blossoms by the Tidal Basin in Washington D.C. Cherry blossom trees line the road here! There’s a huge variety of trees and basically no crowds because everyone is busy walking to the Tidal Basin. My favorite cherry blossom trees here through are the kwanzan cherry blossoms that bloom about 2 weeks after the yoshinos. There is literally a forest of these trees planted in East Potomac Park and make for the best photos. 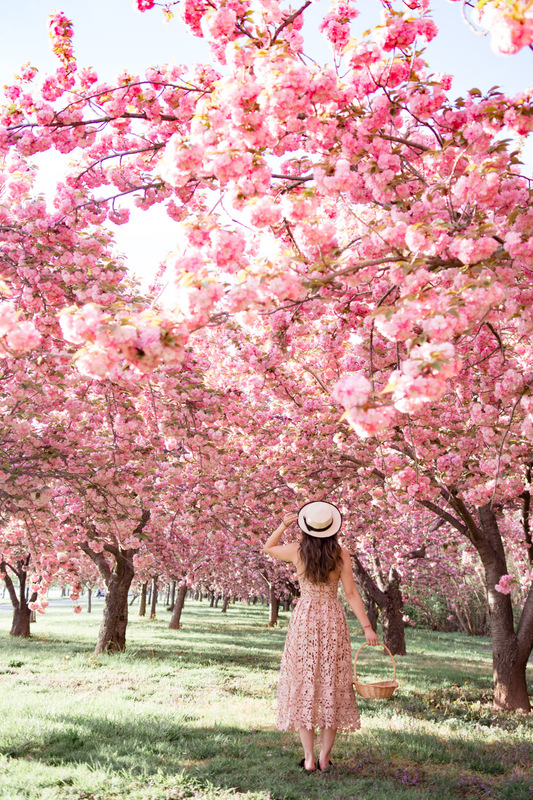 If you ever wanted to frolic in a forest of cherry blossoms in Washington D.C. this is the place to do it. Peak bloom for cherry blossoms in DC near hains point is about 2 weeks after the main cherry blossoms around the Tidal Basin. So if you happen to miss the Tidal Basin cherry blossoms then Hains Point is a great alternative! 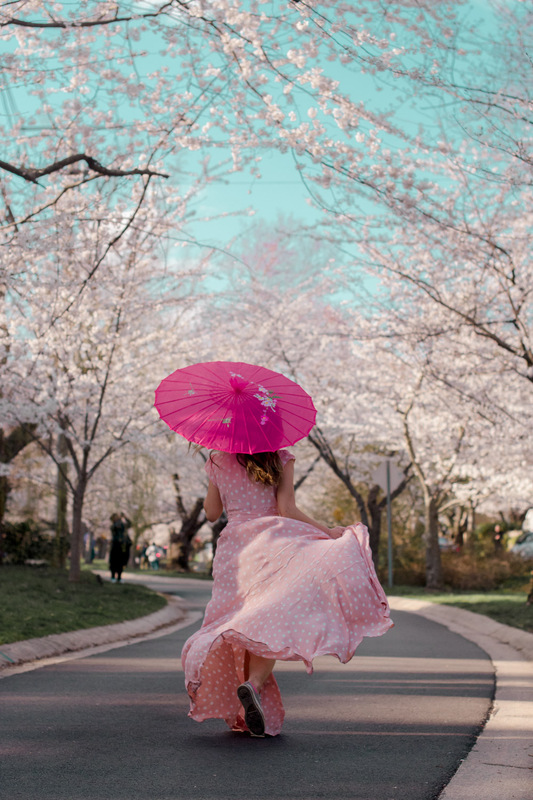 Subscribe to get a link to my custom map of all my favorite cherry blossom spots including where these pictures were taken in East Potomac Park! 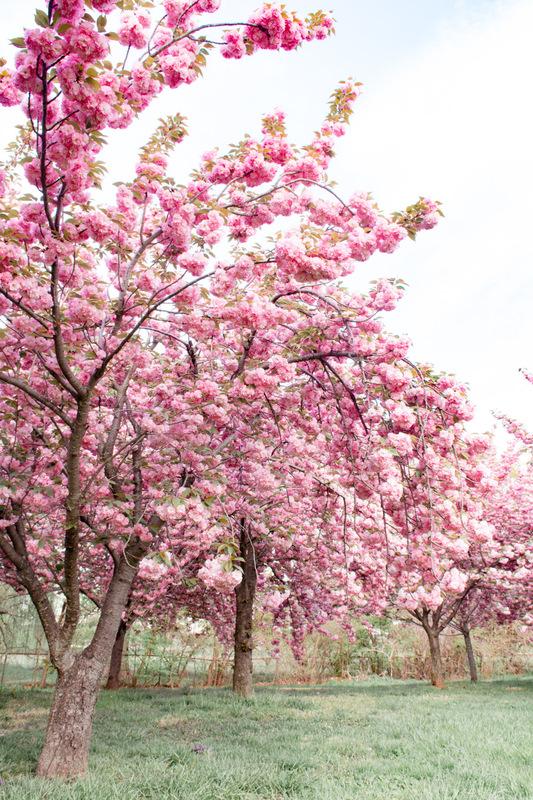 The National Arboretum has a large variety of cherry trees in Washington D.C. that bloom at different times. 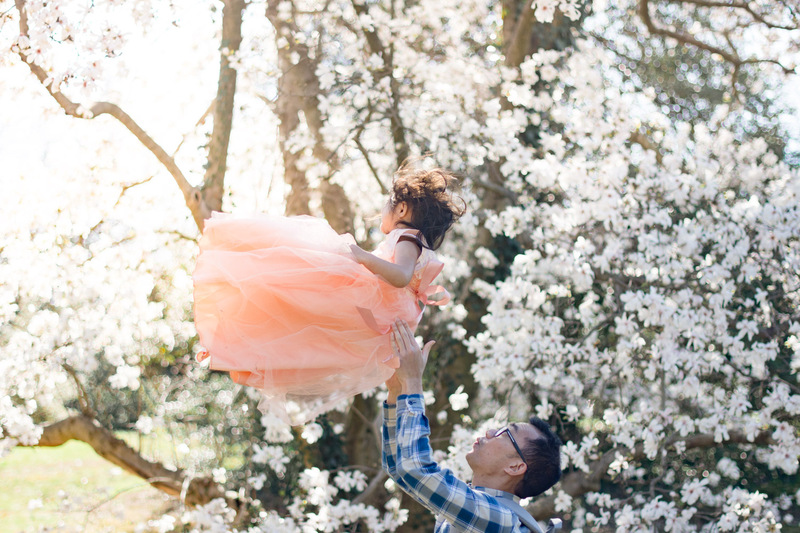 The trees here are absolutely gorgeous, especially the stunning willow cherry blossom trees. Because the space here is so large there are hardly any crowds even on a perfect sunny Saturday afternoon. The National Arboretum is open 8am – 5pm. Last year the cherry blossoms at the National Arboretum bloomed about 1 week before the cherry blossoms around the Tidal Basin. 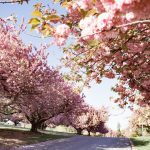 If you are too early for the Yoshina cherry trees in DC then the National Arboretum is a great alternative. I would download their app to see exactly is blooming and where so you are not driving around aimlessly. 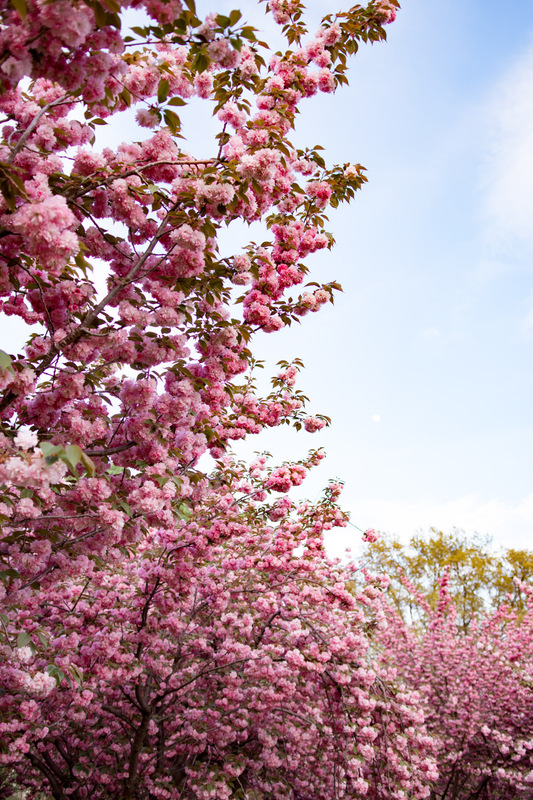 This may be kind of shocking but the Congressional Cemetery is a beautiful place to view cherry blossoms in Washington D.C. Beautiful pink trees line the walkway during spring and without any crowds in sight. The Basilica of the National Shrine of the Immaculate Conception not only boasts beautiful architecture but also has 150 stunning cherry blossom trees! And unlike the Tidal Basin, the Basilica offers free parking for visitors. The Basilica is open 7 am to 6 pm through March 31st, and open until 7 pm after April 1. Kenwood is a neighborhood in Maryland just outside of Washington D.C. 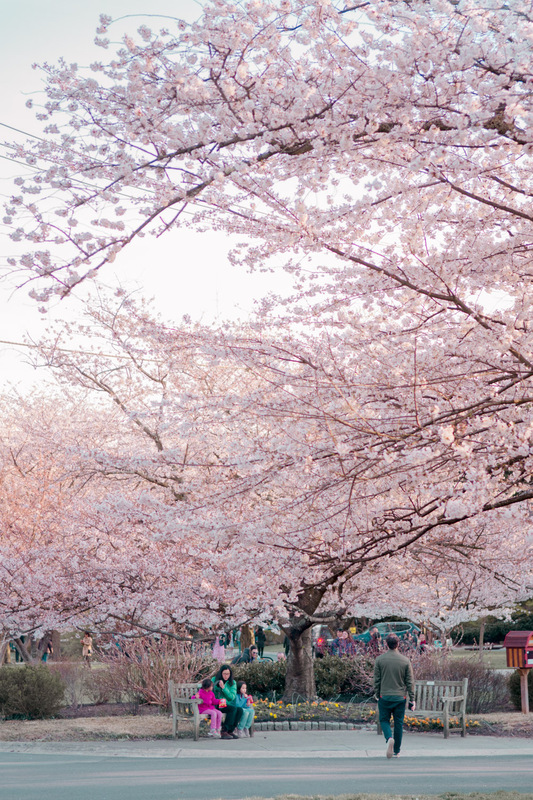 The cherry blossoms in Kenwood though are just as pretty as the cherry blossoms in Washington D.C. There’s also a free parking lot because you can’t park on the streets here. The Kenwood cherry blossoms bloom about a few days to a week after the cherry blossoms in DC so if you miss the Washington DC cherry blossom bloom, Kenwood is a good choice! I have a bonus alternative to cherry blossoms at the Tidal Basin in Washington DC, but it’s not free. 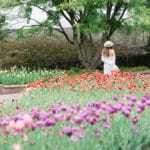 Dumbarton Oaks is a garden in Georgetown. 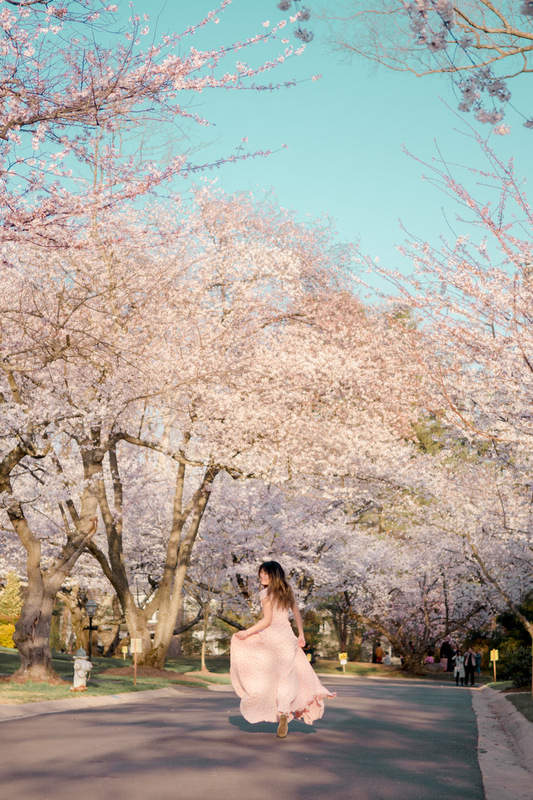 It has a section called Cherry Hill with beautiful cherry blossom trees for you to enjoy without crowds. There’s also a little walkway called plum walk. This walkway is lined with plum trees that bloom with beautiful plum blossoms before the cherry blossoms. Dunbarton Oaks is open 2-6pm and has an entree fee. It’s $10 for adults and $5 for children 2-12.